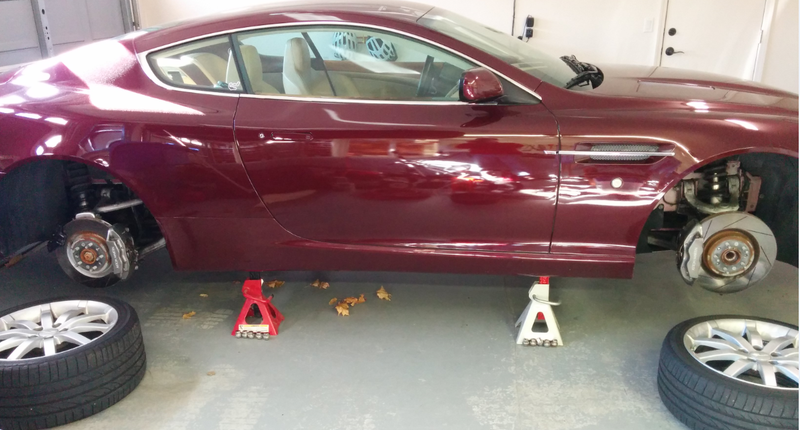 Draining the Oil from your DB9 is mostly a process of preparation. It’s a pretty simple DIY item if you have the desire. It’s mostly like draining the oil on a regular car, but there are a few tips I can share. If you are just changing the oil as part of a 1 year service, there is no need to remove the road wheels. If you are doing a 2 year service and need to change the air filters, you’ll need to remove the wheels to get the fender liners out (I will cover this in another post). Strictly speaking you could leave the front under tray on the car as well if its a LHD car. 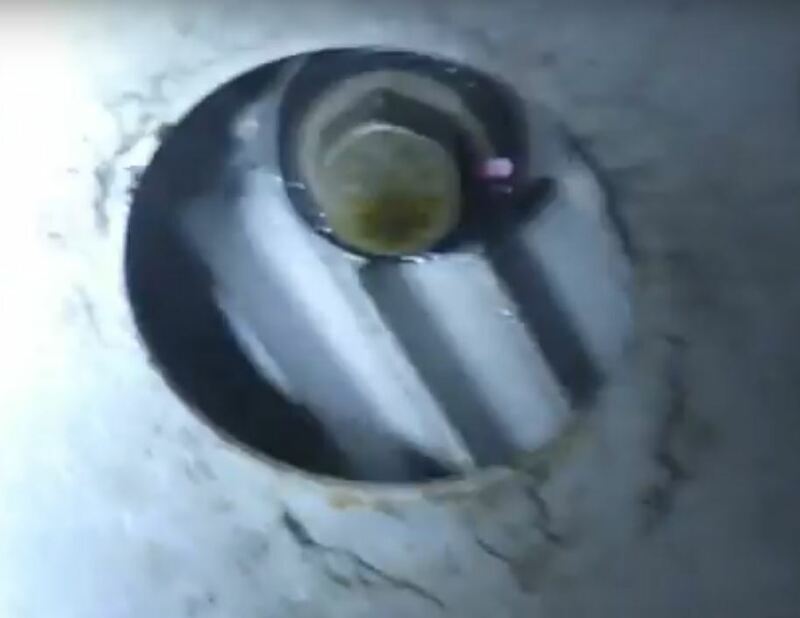 There is a small ~3″ diameter access hole in the front under tray where you can drop the oil out. I doubt you can pull the plug without getting some oil splash on the under tray, so if you want to keep it clean, removing the under tray is needed. Presumably you are going to change the oil filter too, and on a LHD car you can do this completely from above, but again it might be challenging not to drop oil onto the under tray. It was an extra 10 minutes of work once it was up on stands. I started with the car cold, I didn’t want to be crawling around under the car’s hot exhaust pipes. Once it was up on jack stands I ran the car for just 2-3 minutes to warm the oil so it would drain easier. A LOT of oil comes out, at least 12 quarts. I don’t have a drain pan that large (mine is just a normal car size of 4-5 quarts). So I planned to drain the oil in 2 or 3 batches, emptying the drain pan each time into old milk jugs (to later take to disposal). I positioned the drain pan and then removed the drain plug with the 15mm socket. I let the oil drain into the pan until it was nearly full, and then temporarily reinstalled the plug finger tight. After emptying the pan into a used milk jug, I repeated the process until the oil was no longer running out, and was just a slow drip. Next is to install a brand NEW drain plug. Don’t scrimp here. The plug has a rubber sealing ring on it, and you want it to work properly. I wiped the bottom of the sump off clean so the sealing surface was clean. The plug costs about $15 USD. 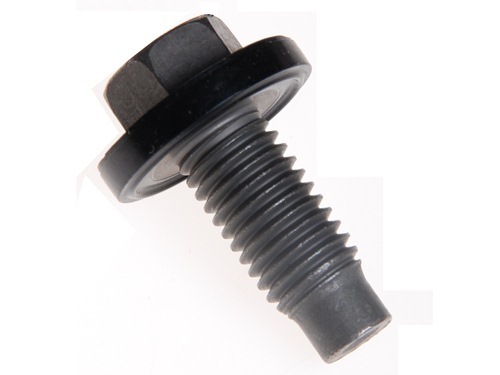 It is Aston Martin Part Number 4G43-04-10205, and you can get one from your local dealer or online at someplace like www.astonmartinparts.net. Torque the drain plug to 23-27Nm (about 19 ft-lbs). Don’t guess, over tightening will crush the rubber seal and it will drip. 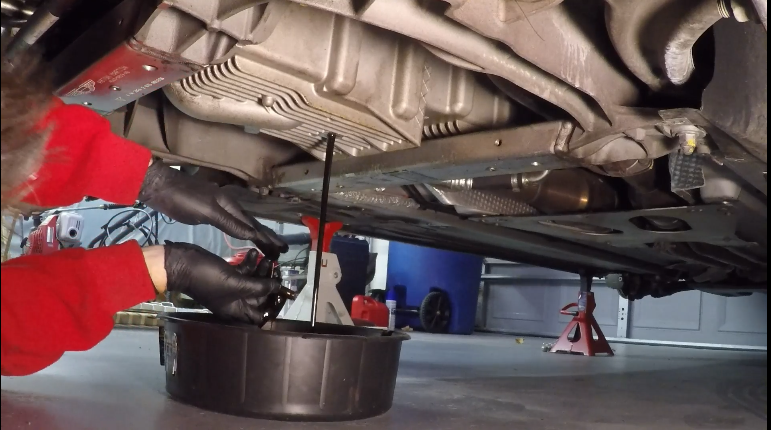 The last step was to carefully wipe off any oil on the sump or plug. I wanted to be able to tell if there was any new leak. Up next will be how to change the Oil Filter and then refilling the Oil. Hi Richard. Congrats on the Volante! I think the Standard to Metric setting change needs to be done by a dealer using their fancy AMDS computer. I think the GPS is a DVD in the trunk that you would need to get the Europe DVD. Keep in mind that the GPS is made by Volvo and you can probably get a Volvo DVD cheap on eBay to change over. Hi, do you know what these hoses are? I haave an aston that developed a leak there. Hi Floren. That’s a good question, I’m not sure. I think those are the transmission oil cooler lines that run from the very front back to the transaxle in the rear. I’ve had mine replaced. They were leaking at the front where they attached to the oil cooler itself. But, like I said, I’m not entirely sure from the photo. Will take a little investigation.